An ancient fortress unknown to Bulgarian and international archaeology has been discovered in the thick subtropical forests along the Ropotamo River in Southeast Bulgaria, the National Museum of History in Sofia has announced. 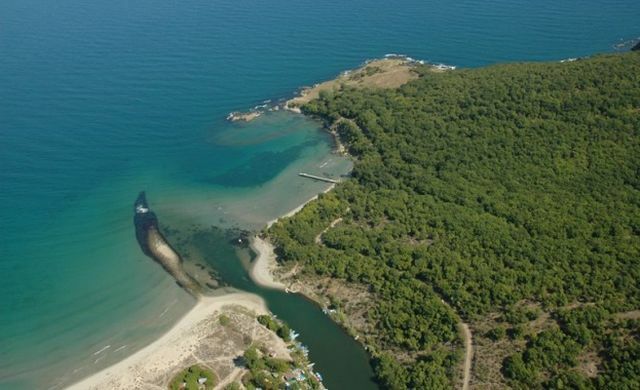 The discovery has been made by Dr. Ivan Hristov, Deputy Director of the National Museum of History, who has also been excavating several other archaeological sites along Bulgaria’s Southern Black Sea coast, including the Talaskara Fortress on Cape Chervenka (Chrisosotira). The previously unknown fortress, which appears to have been inhabited by Ancient Thracians, has been found in “the jungle of the Ropotamo" River, in the wording of the Museum statement, in the region of the Black Sea resort town of Primorsko. The newly found fortress has an area of about 3 decares (app. 0.75 acres), and is located on a hill with natural defenses on one of the curves of the Ropotamo River. The surrounding steep rocks make it very hard to reach the stronghold, and it can only be accessed through a narrow wood path whose route leading up to it is guarded by a fortress tower. The discovery of the fortress was about a week ago (but it has been made public only on Tuesday, June 30, 2015), and Ivan Hristov’s team has already started its archaeological exploration. Bulgaria’s National Museum of History and Primorsko Municipality have each pitched in BGN 10,000 (app. EUR 5,100) for the unplanned archaeological excavations of the new fortress. The municipal authorities have also provided heavy machinery to clear the trees covering the fortress, and to build a road leading up to it. The archaeologists have already unearthed part of the fortress wall, the ruins of homes covered with tiled roofs, and a “weird stone circle". In its center, they have found Ancient Thracian ceramic urns decorated with depictions of bull heads. Other intriguing discoveries are silver coins of the Ancient Greek colonies of Apollonia Pontica (today’s Sozopol) on the Black Sea coast, and the Maroneia on the Mediterranean coast. One of the most interesting things about the newly discovered fortress in Southeast Bulgaria is the fact that archaeologist Ivan Hristov has managed to find out its name: it was called Pharmakida which means a “healer" in Ancient Greek. Hristov has identified the name of the Pharmakida Fortress on old maps of the local forestry service. Even though the name had been marked on the old maps, however, the fortress itself had remained unknown to the science of archaeology until its present discovery. Bulgaria’s National Museum of History attributes the name Pharmakida to an ancient cult of deities of healing and medicine. “The cult for healing deities was very strong along Bulgaria’s Southern Black Sea coast. In Sozopol (Apollonia Pontica) god Apollo was worshiped as “Apollo Iyatrus", i.e. “doctor”. Icons in Pomorie, Burgas, and Sozopol depict St. Anastasia with the name Phamacolitia, i.e. “Healer"," explains the Museum statement. “For the time being, it remains unclear which deity exactly gave its name to the Pharmakida Fortress, a likely ancient predecessor of today’s town of Primorsko. Let’s hope that the excavations will reveal this secret. It is also unclear how and in what way this place, where mosquitoes are literally the size of sparrows, helped the ancient people get better [from their illnesses]," the Museum statement concludes.